I feel it is important to give back to the community and try and take on one pro bono design project a year. I get plenty of opportunities over my desk and selecting the project is not always easy. However this week one popped up I could not ignore. 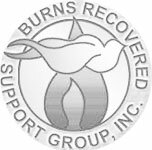 Linda Hansen of the Burns Recovered Support Group contacted me to see if I would be interested in reworking their web site. They offer a fantastic summer camp for burn victim children and a wealth of support for burn survivors. So over the next few weeks I will be working with Linda and her team to bring their web site up to scratch. This entry was posted in Uncategorized, Web Design Projects. Bookmark the permalink. exhibit presenting the black presence in Norway from 1600-2000.
friend of mine. In 2012, she would have been celebrating 100 years. Sorry can’t help you on this project but hopefully you will find someone who can donate their time soon.